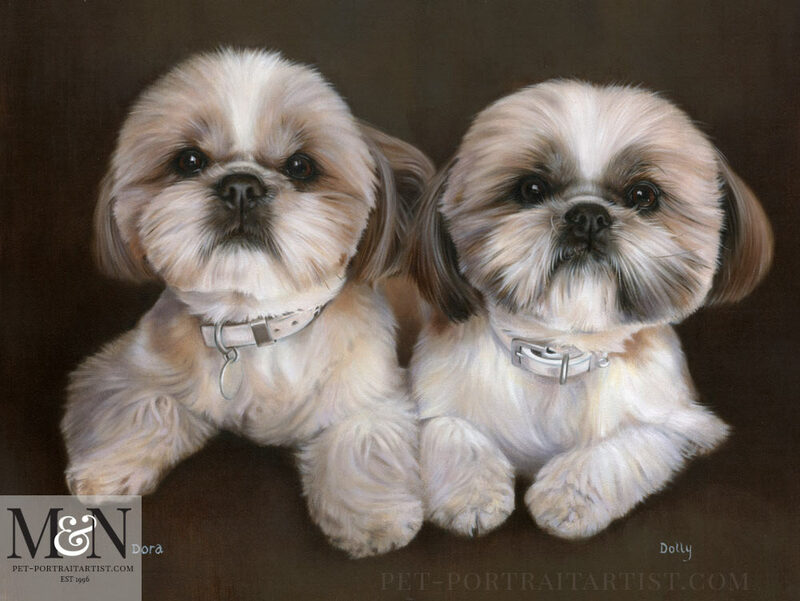 Welcome to the dog oil portraits of Dora and Dolly. 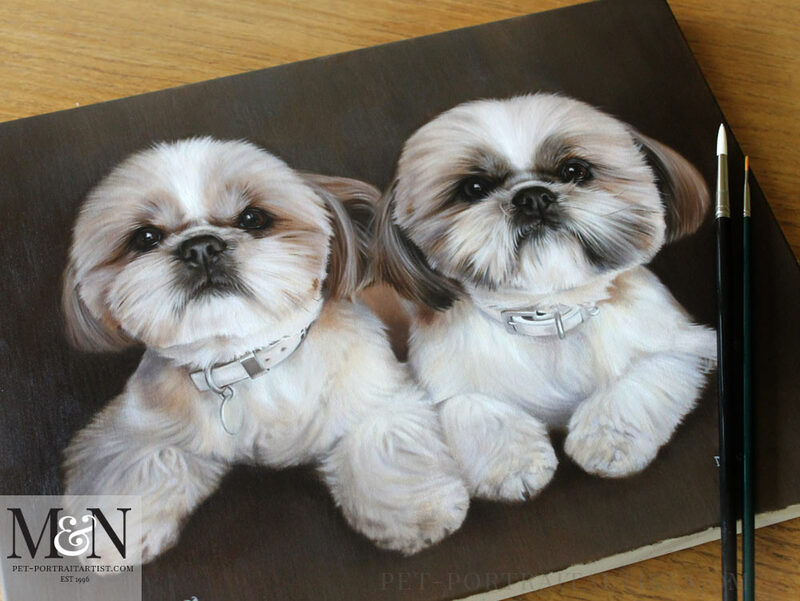 These two gorgeous little girls were painted by Nicholas on our usual Italian linen canvas using traditional methods. Returning client Lady Bamford commissioned the oil painting which will be framed by their own framer. 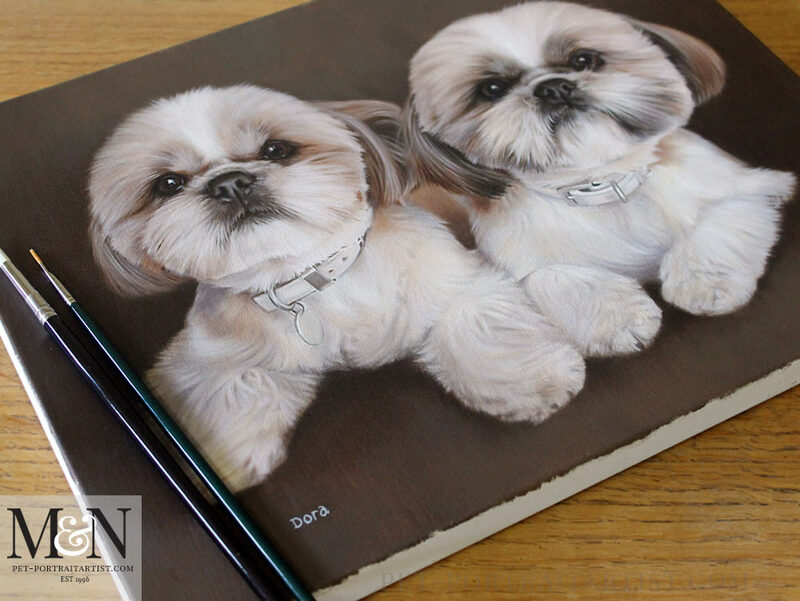 Our client requested their names to be written by hand under each dog too which makes the portrait even more personal. Scroll down to see more photos of the painting along with some in progress photos too. 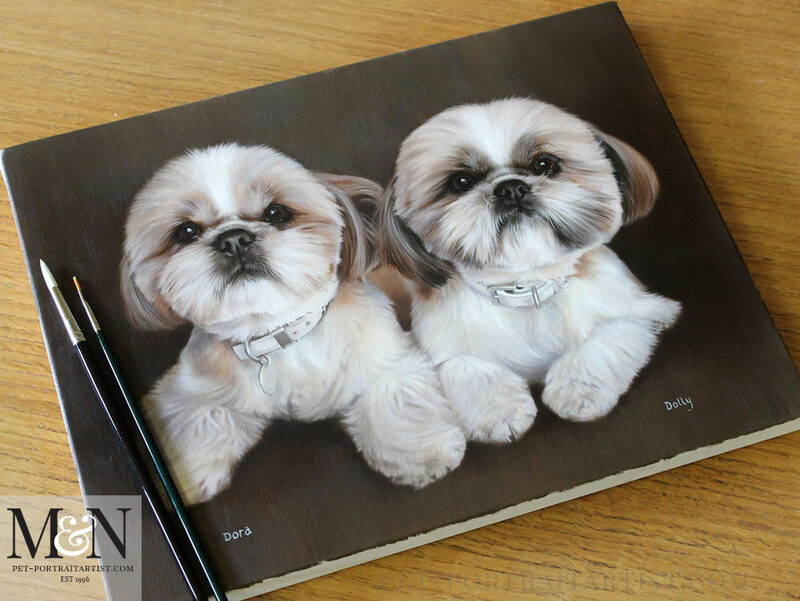 Here are the photos of Dora and Dolly sat on our plan chest with paintbrushes to show scale. The photos hopefully give a more natural view of the painting. Sometimes the scans can be a little flat and clinical. Clients always say how they love the finished scans. However when they receive the actual paintings they love them even more. So hopefully photos can go some way to showing the portraits in a more three demential and realistic way.